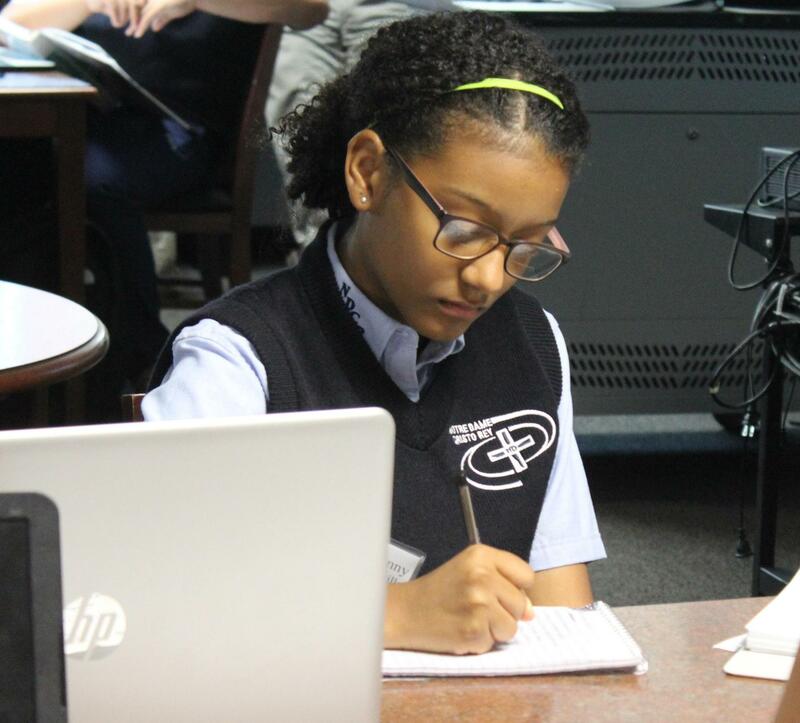 The Cristo Rey curriculum is designed and taught to prepare students for success in college. The faculty works closely with each student to help them develop a skill set that focuses on effective communication, complex reasoning, precision and accuracy, persistence, teamwork and collaboration, initiative and self-direction, and productivity and accountability. Through the use of standards that prepare students for college-level courses, effective teaching styles that make learning engaging and possible, and instruction that is informed by routine classroom assessments, Cristo Rey schools maximize the academic achievements of their students. The ultimate goal of a Cristo Rey education is that students will graduate from both high school and college. During their four years of high school, they will gain a deep understanding of both themselves and the world around them. They will be prepared to think and act for themselves and graduate knowing that they have both the responsibility to fight for justice in our world and the tools needed to begin that work. Our full program of studies may be found by clicking on this link. This coursework is integrated with the Corporate Work Study Program's mandated 5 full work days a month. Students have access to extensive Academic Support and College Counseling services as needed.